Buying a Home Without a Swimming Pool: Will One Fit? Buying a home with an existing swimming pool may be just the type of real estate purchase you want for your lifestyle. But here’s what sometimes happens in this kind of scenario: You and your family have your hearts set on a private aquatic retreat; you find the perfect house—the one with the big kitchen you want, a spot for your fantasy man cave, and the top-notch school district for your kids. However, the dream home has an empty backyard—the only water around is from the garden hose. Make this your new residence, and it will be your job to get the new inground pool built. Now, this ability to put in a pool on your terms certainly offers some great advantages. You will be able to design it exactly how you want. Undertaking the construction project with your pool builder means you can create whatever shape, style, features, and accessories and you choose. 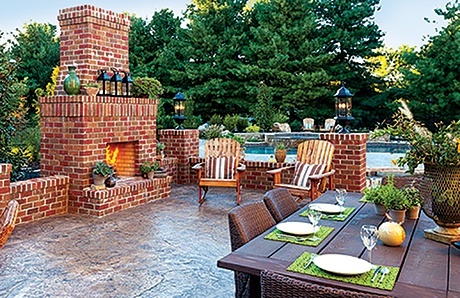 In addition, you can tailor your backyard space with additions for outdoor living and entertaining. You are certainly not alone in wanting a private pool. Yet the chances are high that a home you fall in love with won’t have one. U.S. Census data from 2011 indicates that only 16 percent of U.S. households have a pool. Can a swimming pool work in this particular backyard? 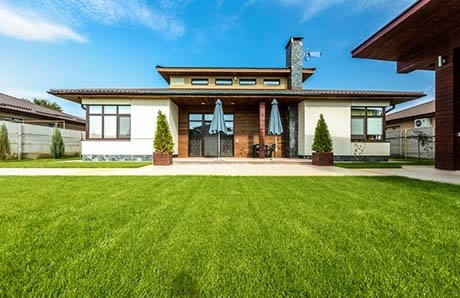 If you want a pool to go along with your new dream home, be sure to thoroughly evaluate the empty backyard before you sign that sales contract. First and foremost, evaluate if there is enough space to build not only a pool, but your pool—the design that meets your preferences. You have a wide variety of pool sizes, shapes, styles, depths, and configurations to choose. Size is perhaps the single-most important consideration here. So for starters, it’s best to have a general idea of how big of a pool you want. Typical sizes vary by region of the country and backyard space, but most private inground U.S. pools range from 14 to 20 feet wide and 28 to 40 feet long. If you have several family members, particularly active children, you might want to go big. While some shapes, like a basic Roman/Grecian, the size is easy to scale. However, some kinds of pools require more space, such as lap pools, diving pools, and pools with a large shallow end or children’s play area. The shape and configuration you want also impacts the needed room. A rectangle pool with a spa on one of the long sides will demand a different amount of space than a lagoon with free-flowing lines. Depending on what you want, your new backyard may challenge your dream pool’s layout or work very well with it. The pool features you want may also create greater demand for square footage. For example, you may think you are good with a relatively small pool, but if you plan additional features like a spa, rock waterfall grotto, or swim up bar, those add-ons will eat up more space. Keep in mind, that the number-one regret homeowners have after their pool has been built is about its dimensions: They wish they would have gone for a larger size. Although it can be shorter, the ideal residential lap pool is 40 to 45 feet long. Along with space needed for this structure, additional area is often needed for installing at least several feet of decking around one (or both) of the pool’s ends. For most homeowners who want a pool, the structure serves as a cornerstone for fun, healthy backyard living. However, the pool is only part of the equation; your outdoor space is rarely considered complete without some other accessories and features that round out the backyard retreat. Ultimately, it’s not enough to factor in only the size of the pool; take into account all of your desired backyard amenities. Depending on the size of your potential new backyard, a pool may gobble up the majority of its available space. So, even if the pool you want will fit, if it’s built into a smaller-scale yard, consider how much room will be left over for all of the other outdoor additions you want. Will you have adequate room for patio furniture? Is there a spot for the big fire pit—and chairs to go around it—you imagined? What about a dining area? Do you plan to grill on a big island barbecue? Maybe you have been thinking about an outdoor kitchen? Will you want to do lots of entertaining? If so, you might want a large shaded lounge area with plenty of chairs—maybe some kind of pavilion or gazebo. Those take space. If you have children or active family members, you might consider reserving space for a grassy area where the kids can play or for a spot to put up a volleyball net. While the yard may be large enough to accommodate your dream pool, make sure there will be enough real estate remaining for other backyard amenities and entertaining spaces that you may want. A variety of factors impacts how people use and feel in an outdoor space. It’s important to recognize and evaluate certain attributes in both the backyard and the environment surrounding it. One element is sunlight. How much sun will the pool and deck area receive in the morning and afternoon? Will some of those golden rays get blocked out by a large tree—unless you chop it down? Trees and foliage around the property can affect your future pool and patio area in other ways. For example, trees and shrubs that produce fruits, nuts, or leaves can impact your pool; you may find yourself constantly having to fish them out of the pool—or allow them to overtax your pool cleaner and filter. Or, leaves, fruits, or flowers may blow onto your decking from nearby trees or shrubbery. Another consideration is the backyard view. A small yard may limit opportunities and ultimately result in a blocked view. One reason why are barrier requirements: In many areas, a fence is required around a backyard with a pool. So a yard that has a lovely view today may be obstructed with a fence after the pool goes in. In some cases, solutions exist for addressing this challenge, but it’s a good idea to know about requirements going in. Privacy can be another concern. As you check out a potential backyard, take a look at any houses next door and how they are situated in relation to it and the likely location of your pool. Will neighbors be able to peer into your yard? If the home you are considering buying has an empty lot next door, you may think you are in the clear. Think again. What seems like a safe bet today may not be tomorrow: In a year or two, that vacant lot nearby can become a high-rise condo or multilevel home, letting nosy neighbors stare down at your family. We’ve seen it happen! Ditto for a one-story home nearby—it can undergo a renovation that adds another story, and now neighbors have a bird’s eye view into what you want to be a tranquil outdoor retreat. Also be aware of sounds. Is there a street or freeway traffic you can hear in the backyard? Is there a nearby flight path or a hospital emergency room that draws in ambulances? For some sounds, like the hum of freeway traffic, the sound of trickling or cascading water from certain styles of waterfalls and other water features on a pool can help blunt some of them for a more relaxing atmosphere. Solid fences and thick landscaping can also help buffer sounds to some degree as well. Bear in mind, few backyards are perfect. The factors described here certainly do not preclude you from building a pool and lovely outdoor space; in fact, many of these challenges can be overcome at least in part. But as you view properties with your agent, take note of these elements and potential issues. This way, when you make a final decision on a house, you will have factored in these issues and will be prepared when building a pool and backyard resort. A backyard may be private today and appear ideal for a secluded outdoor retreat, but think long-term: One day that empty lot next door could have house—even a multi-level one that gives future neighbors a prime view into your yard. If you’re serious about purchasing a particular house and want to add a pool, you need to be aware of other possible challenges to your construction plans. At the top of this list: local codes and zoning laws. Many municipalities require that pools be built a specified minimum number of feet from the home and/or the property line. Typically, these range from three to 10 feet, but these rules vary by municipality. In some cases, the minimums may be based on a formula using a ratio or percentage of the lot size. They may also vary based on the depth of your pool. For example, a three-foot deep pool may not need to be set back as far from the house or property line as one that’s six feet deep. 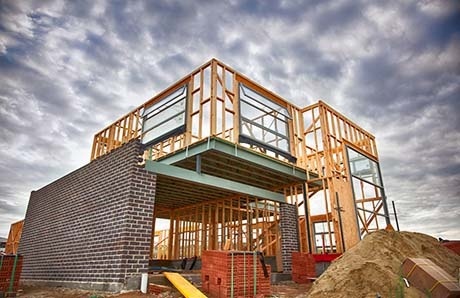 With these variables in mind, it’s vital to consult with a professional who knows the local building codes. That individual should also know potential workarounds for addressing the requirements through the use of variances. You may be able to file an appeal with the municipality for an exemption under some circumstances or by engaging an engineer who reviews the pool design and property. Utility-line installations also come into play. 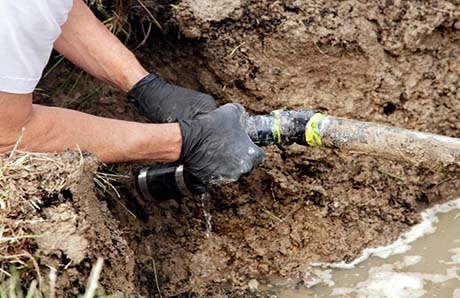 These include underground and overhead connections for gas, phones, power, water, sewer, fiber-optics, and other systems like pipes and septic tanks. Sometimes the home plot plan will have some of this information. Or, if there are pools in many of the nearby homes with lots similar to yours—your realtor may know—then it is less likely there will be any real challenges. Again, strategies may exist to overcome these obstacles. For example, if you are willing to pay the cost, some utility lines can be moved. In other cases where a utility company has an easement, you may be able to appeal to the company; in some cases, the company may no longer need an easement created years early or they may be willing to relinquish part of it. However, if you want a pool and have concerns about possible obstructions, ask your realtor for more information or contact a service that provides utility locating or marking. Present this information to a reputable pool buildermfor their opinion. 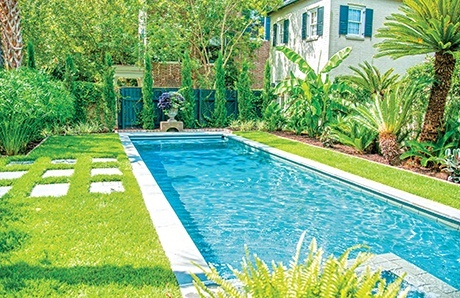 On the surface, the backyard may look spacious and inviting—the perfect place to put a pool. However, underneath, the ground may tell a different story. In some areas of the country, in some sections of town, in some backyards, the soil and topographic features pose challenges for pool construction. Examples include underground water, unstable soil, and hard subterranean rock in the ground. There could be a hill bordering the yard that needs a retaining wall built to keep out falling dirt. Or, an existing deck that slopes toward the spot where your pool would go could carry dirty rainwater runoff straight into your pool. Now, qualified pool contractors are familiar with local building conditions and will be able to identify most routine obstacles in a yard. To avoid buying a home with serious impediments to building a pool, we also recommend obtaining a copy of the survey plot. A survey plot or “plot plan” will provide key information about the layout of the property. The data varies in different regions, but typically, it indicates the footprint of the home, dimensions of the home, dimensions of the property, and any easements or restrictions (e.g. for drainage, utilities, retainage). While it will not alert you to every possible challenge, it can help identify some of them. What lies below (and overhead)? A variety of backyard conditions, ranging from soil quality to utility lines, can impact pool construction. In most cases, they can be overcome, but it’s helpful to learn about them in advance to avoid surprises like extra construction costs or limitations on your pool design. A large hole needs to be dug for your new pool. That takes machinery and manpower to excavate the dirt and haul it away. So, the last factor to consider for a good backyard candidate for building a pool is crucial—and often overlooked: Adequate access for construction equipment. 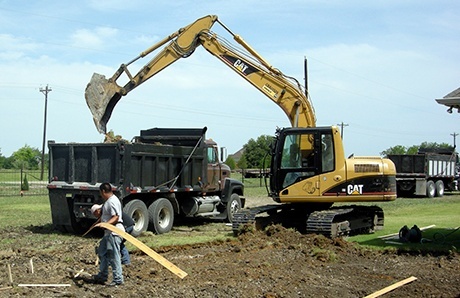 In order to excavate a pool, large equipment will need to traverse your property. Typically a dump truck nearby is also needed to remove the excavated dirt. Frequently, access for these machines to the dig site is through a side yard, an alley, an empty lot next door, or an adjacent yard with a neighbor’s permission. That passageway way needs to be sizable: A standard track hoe (used for excavating) requires a path approximately nine to ten feet wide. If it will have to make a turn to enter the yard, plan on another two to three feet for a turning radius. If the entranceway is too narrow, there may still be a way in. A smaller bobcat excavator can make it happen. A bobcat can pass through a span of about five feet; some are even small enough to enter through a pedestrian gate only several feet wide. The downside with these smaller machines is that will take several times longer to complete the job. Also, a second Bobcat is often needed to shuttle the dirt to the large dump truck nearby (often on the street) that could not get into dig site. As a result, excavation costs will jump approximately three to four times higher. In rare instances, a backyard may have no way in: You don’t want to end up with a property with no alley, no option to use an adjacent lot, and no side yard (or only an extremely narrow one). In these cases, construction of a new pool comes down to the last resort: something called a hand-dig. You guessed it—we’re talking excavation using crews with shovels vs. heavy machinery. With high labor costs, this kind of dig might cost five to seven times more than a standard dig. Don’t underestimate the importance of backyard access for pool construction. So that excavation machinery can enter a backyard, ample space—such as an alley, wide side yard, or use of adjacent land from a cooperative neighbor—is needed for their passage. A pool is a wonderful addition to a backyard space. Avoid surprises. Before you enter escrow, consider potential obstacles for pool construction in a new home. To help you stay comfortably afloat in the home-purchasing phase, consider the five factors outlined here. To become more even knowledgeable about designing and building a new pool, review these additional variables that will affect pool construction. Now you will be all-the-more prepared for the build ahead! Craig Bretzlaff is an accomplished luxury real estate specialist who has been recognized as a top producer in the Palm Beaches, Florida. He holds a bachelor of science degree in business and marketing, as well as a degree in Professional Golf Management. With his deep expertise in residential real estate and luxury home building, Craig prides himself on sharing his knowledge and experiences with his clientele so that they can make informed investment decisions. Find him on Bretzlaff Group.